We are an Award Winning independent production company made up of two friends, Mike and Phil. We each have spent the better part of a decade learning how important the right video, image or design can be to your next project. Having both played in a band and worked in the arts, we understand image is everything. We have a strong desire to use what we’ve learned into into your next project; whether it’s a live event, music video, live performance video, film, new photos or artwork — we want to help you reach as many people as possible. We would also be more than happy to branch out and try something new if a project interests us! Phil appeared as Detective Culpepper on the FOX show "Gotham." Our second short film "garage" is currently in post production. "Suits Don't Matter" completed its fabulous festival run. It earned 12 selections; grabbing 4 awards, 2 finalists and 1 semi-finalist nominations. 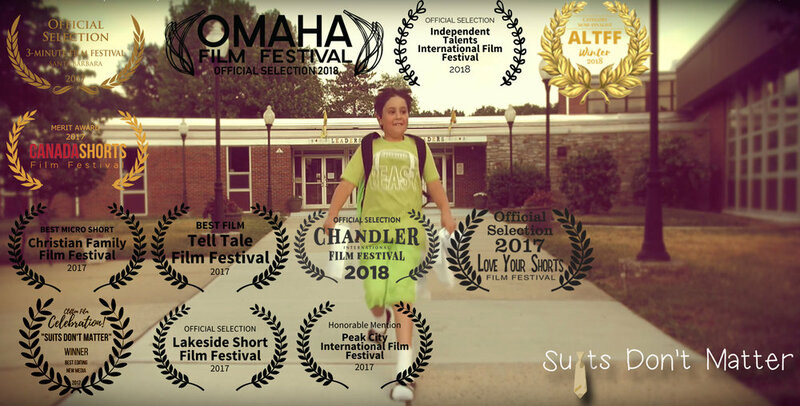 "Suits Don't Matter" was nominated for Best Writing at the Alternative Film Festival. Dancing Scuff completed filming their second short film "garage."